Forward thinking is always important in boxing, and the folks at Golden Boy are already looking at what might lie in store for their star fighter Canelo Alvarez after the Mexican star with so much to prove has boxed his September 15 return fight with middleweight king Gennady Golovkin. On the under-card that night in Vegas, former GGG foe David Lemieux will face Irish warrior Gary “Spike” O’Sullivan, and Eric Gomez of Golden Boy has told RingTv.com how there is a “good chance” the winner will fight Canelo next. Canelo will of course be hoping that by this time he has beaten Triple-G, avenged the draw that most felt was really a loss, won the world middleweight title AND removed the stigma of his two failed drugs tests (there is nothing like a great win, preferably a thrilling KO win, to make fans forget about past unpleasantness relating to a fighter). But even if he loses on September 15, say by close decision, Canelo against either Lemieux or O’Sullivan would still be a big fight. As a comeback fight it would perhaps be ideal for the flame-haired warrior. Lemieux, a former IBF middleweight champ, also craves a second go at GGG and just maybe, if he beats “Spike” and then Canelo, he will get his chance. But can Lemieux get past O’Sullivan? It’s a good fight, a solid match-up, and it could prove to be the most two-sided, action-packed fight of the night on next month’s huge, huge card. Now, with a shot at Canelo, in either a world title fight or a still-big non-title fight, providing added motivation and incentive to the Canadian banger and the Irish puncher (really, this fight has almost zero chance of going the distance, what with both men carrying some genuine dynamite in their gloves) the supporting feature is an even bigger fight. With the great Roman Gonzalez set to fight on the card, along with exciting young 154 pound champ Jaime Munguia, the card topped by the biggest rematch of the year will have some great value for money for fight fans. 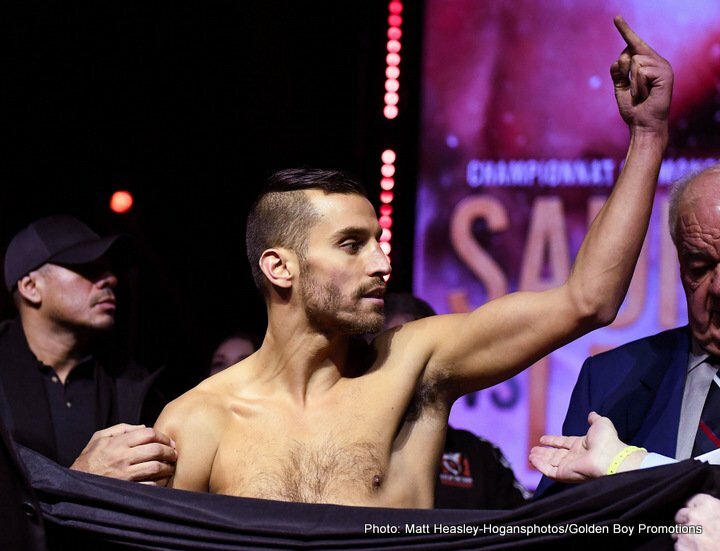 Lemieux-O’Sullivan might prove to be the best fight of the night for lovers of a slugfest, though.